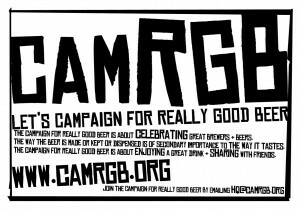 Here’s a list shops and pubs who like The Campaign For Really Good Beer so much they’ve decided to offer discounts. 10% DISCOUNT FOR CAMRGB MEMBERS! Offers $10 discount for all CAMRGB members. Great Bottle Shop in Surrey. 5% DISCOUNT FOR CAMRGB MEMBERS! Super Craft Pub offering a discount to CAMRGB members. Why have a cheeky pint, when you can have a Crafti Beer? 10% discount for members. Email hq@camrgb.org for the Code. North East Beer Tours offers beer lovers the opportunity to taste their favourite tipple in some of the best real ale pubs across the North East of England. Online store for Beer, Wine, Spirits. DISCOUNT FOR CAMRGB MEMBERS. Offering 10% DISCOUNT to CAMRGB Members! Live Music venue with Real Ale. OFFERING A DISCOUNT ON DRINKS TO CAMRGB MEMBERS! Craft Beer and Good Food in Richmond, West London. 15% DISCOUNT FOR CAMRGB MEMBERS! Specialist beer shop with branches in West Kirby, Liverpool and Heswall. 10% DISCOUNT TO CAMRGB MEMBERS!